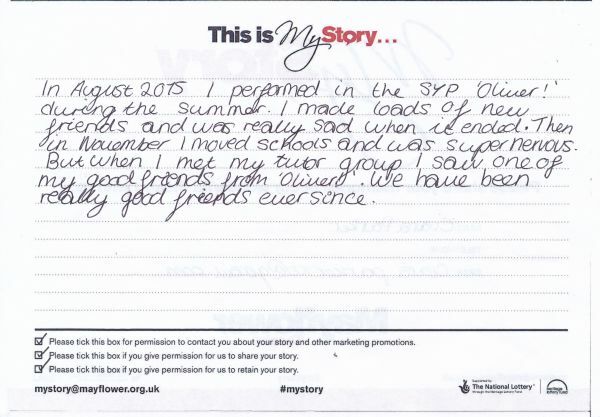 My Story card: Ciara Parker remembers taking part in Summer Youth Project's production of Oliver!. In August 2015 I performed in the SYP [Summer Youth Project] 'Oliver!' during the summer. I made loads of new friends and was really sad when it ended. Then in November I moved schools and was super nervous. But when I met my tutor group I saw one of my good friends from 'Oliver!'. We have been really good friends ever since.